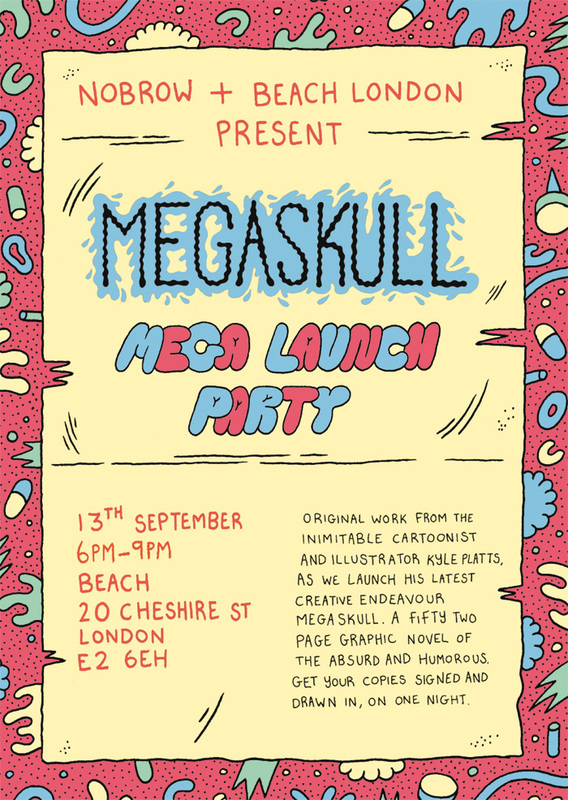 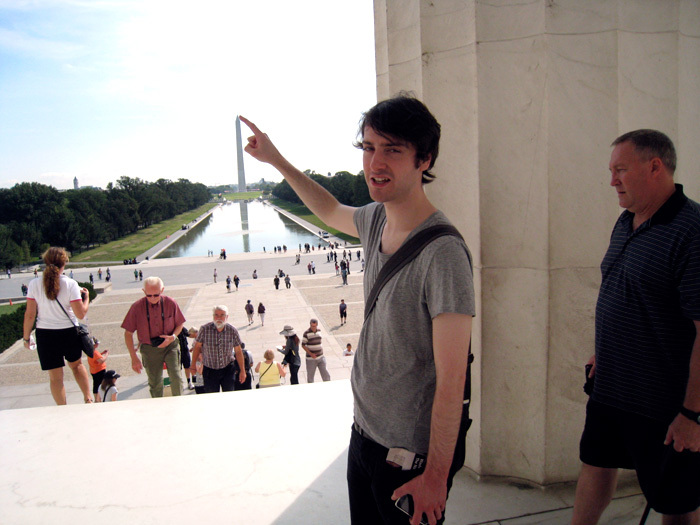 Our great friends at Beach London are hosting a launch of our latest and greatest, the toxic and hilarious Megaskull by Kyle Platts on Thursday the 13th of September. 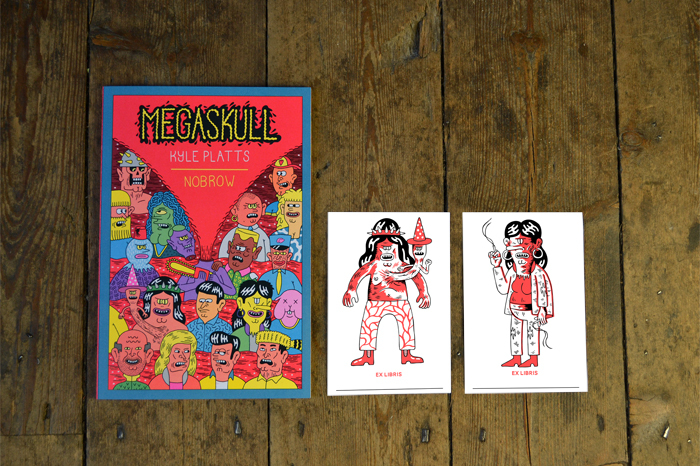 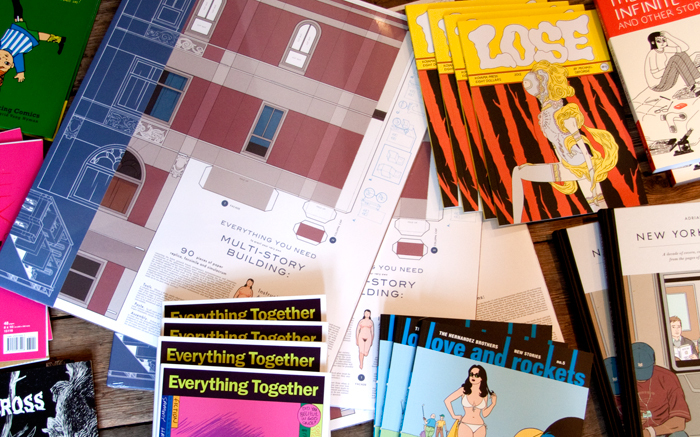 Come by to see exclusive artwork from the artist himself, as well as to buy prints and get a special bookplate edition of Megaskull published by Nobrow Press. 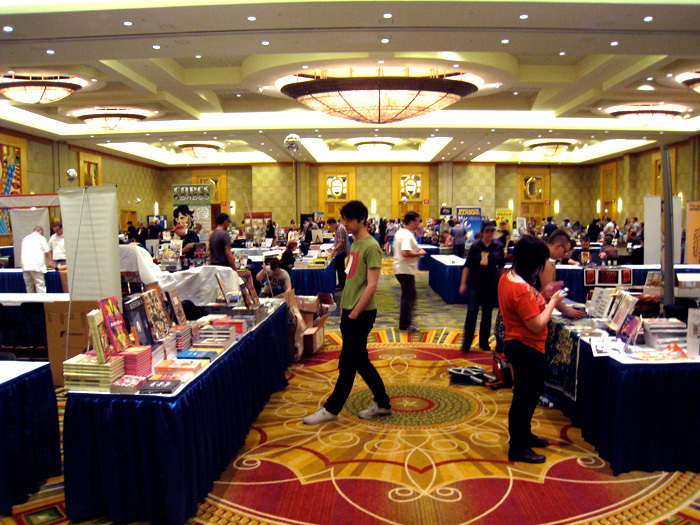 Please RSVP at the facebook page here, or visit Beach London online for more information.